Evalulab’s team wishes everyone a happy and prosperous 2019! The start of a New Year is a moment to reflect on the past and the future. As such, we would like to share a little bit about our 2018 success. First, we would like to thank all our clients. We are proud to serve our clients from all around the world from Asia, Australia, Europe to America. We are also honoured that 95% of our business is “local”, evenly located in Canada and in United States. This year clients’ satisfaction survey indicated that 100% of our clients would recommend Evalulab to others. We are truly thrilled and thank you for this recommendation in advance! Furthermore, 100% of our clients indicated that they were very satisfied with Evalulab’s team professionalism and speed of communication. 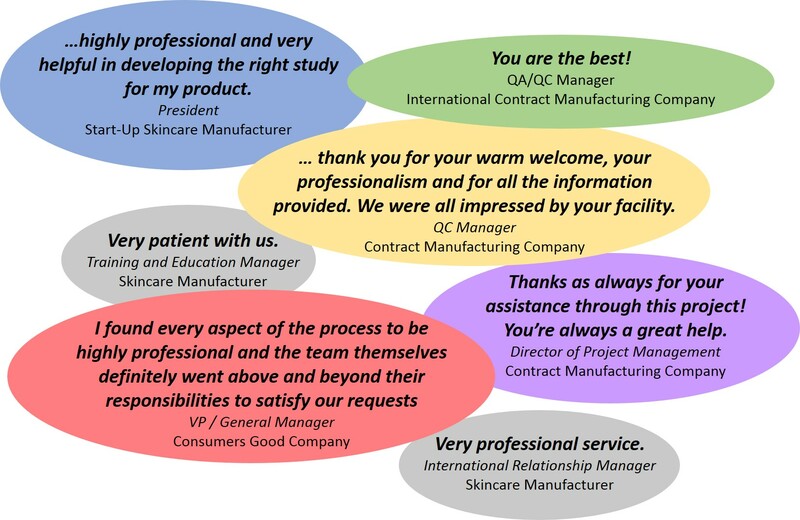 In addition, all survey participants scored a positive experience with various criteria of our services such as: quality of services provided, understanding of needs, respect of project timelines, and quality of communication. Thank you to all our clients that participated in this year survey and that trusted Evalulab for their clinical studies and/or consumer in-use testing needs. We are grateful for your feedback that allows Evalulab to continuously grow and serve you better. We look forward to assisting you again! Home Blog Welcome to 2019!